It is estimated that illegal gambling operators are cheating the Australian government out of as much as $380 million in taxes. A task force that has been investigating illegal gambling Down Under reports that the black market industry will be worth at least $2 billion by 2020. In accordance with Australian law it is illegal for operators to offer online casino services to citizens. Several changes to the country’s regulations were approved in 2017 to close loopholes that were being utilized by offshore companies to promote gambling on the continent. Sports betting however, has remained legal, but has given offshore companies another avenue to illegally target players. According to the Asian Racing Federation’s anti-illegal betting unit that conducted the investigation, a strong association between the illegal betting and the black market economy was identified. Australia’s black market economy is linked to several organized crime activities, such as money laundering. This is not the first time that such links have been pointed out. Australia’s Black Economy Taskforce noted the links previously when investigating the $50 billion-strong economy. 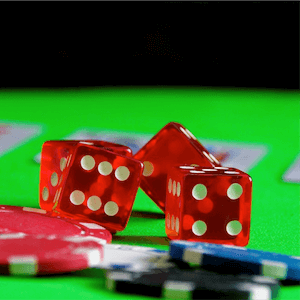 It is estimated that illegal gambling constitutes at least 6% of the country’s industry. This has led to the Australian Treasury and the country’s Black Economy Taskforce investigating ways to curb illegal activity. Recommendations from the Asian task force include Internet service providers being required by law to block unlicensed sites, banks intercepting and blocking transactions with unlicensed sites, and policies being implemented to stop tax evasion through gambling. The unit’s recommendations have been widely accepted and are being taken into consideration as the government compiles its strategy to tackle the issue. Australia is not the only country that was investigated. New Zealand, South Africa, Singapore and South Korea were also included in the report. The report, which is available on the Asian Racing Federations (ARF) site, covers an overview of illegal betting, its ties to money laundering and organized crime, and how it could affect the integrity of the sports betting industry. It then goes on to outline illegal betting in each country and makes recommendations on how to combat such activities. The ARF was founded in 1960, and member countries include Japan, Hong Kong, Australia and New Zealand, Singapore, South Africa, and the United Arab Emirates. Its latest report is sure to concern politicians and lawmakers Down Under, who will try even harder to get a grip on an industry that despite new regulations, seems to be beyond their control.